It’s big. It’s complex. And it’s on the move. Scientists are keeping a close eye on this wandering giant. The Macquarie Marshes are a network of wetlands spread over some 200,000 hectares in the state’s central west. This mosaic of wetlands is connected by a lattice-work of channels creeping out across the floodplain. Fed by the Macquarie River, the Marshes are constantly expanding and contracting with the seasons. When water is readily available, the full length and breadth of the Marshes bursts into life. When the season is dry and soil moisture declines, the wetlands contract to a series of refuge sites, with thousands of hectares of River Red Gums fed from shallow groundwater reserves. The southern floodplain of the Macquarie Marshes during inundation. Photo T Ralph. But there’s more to the story than just seasonal change. 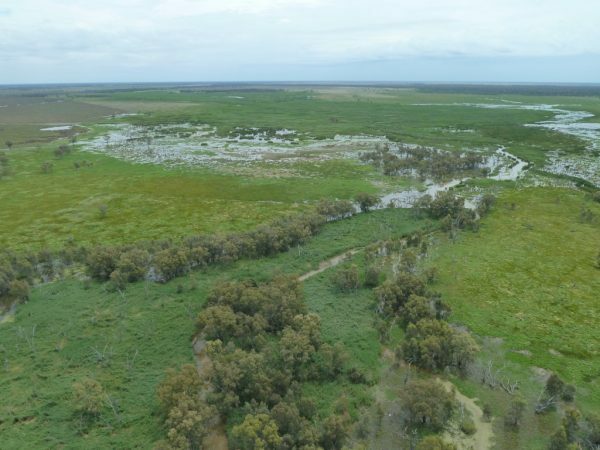 Scientists are unravelling a long history of movement that has seen significant changes in the course and structure of the channels on the floodplain that shape these iconic wetlands. Environmental scientist Dr Tim Ralph has spent the past 15 years studying the factors that influence change within the floodplain wetland environment. His research into the hydrology (water in the landscape) and geomorphology (the development of landforms) of the Macquarie Marshes is helping to inform their management. “The Macquarie Marshes are dynamic, therefore our conservation and management strategies need to be dynamic too,” Dr Ralph said. “There are so many inter-related factors that affect the condition of the system. The volume, speed and sediment load of water entering the system is one part of the equation. Soil structure is another. The southern Marshes, Willancorah. Photo T Ralph. “Vegetation also plays a critical role in determining how and where water is spread through the wetlands. “The Marshes occur where they do because the Macquarie River naturally develops smaller channels that allow water to spread across the floodplain and into the wetlands. Smaller landforms such as natural levees and flood-outs determine where water flows or ponds within the wetlands. “A small change to the landforms, or the processes that create landforms, can have a large impact on the movement of water in a particular location,” he said. It’s a process that can occur over short and long timeframes. 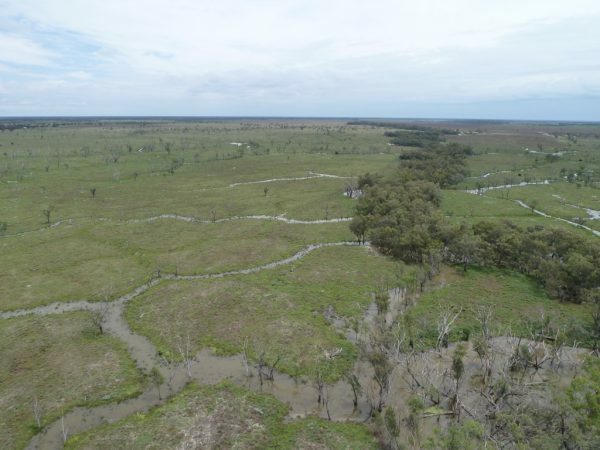 “In the past 15 years, several channels in the Macquarie Marshes have adjusted their course slightly or become wider and/or deeper, or partly infilled with sediment,” Dr Ralph said. “When I first visited in 2000/01, the Marshes were in a wet phase with channels flowing and overflowing regularly. Wetland plants and animals were flourishing. “During the millennium drought, the Marshes dried out significantly and wetlands contracted to core areas around the few channels that received natural flows, environmental allocations or stock and domestic base flows. “In that time there were productive periods when a relatively small flow entered the Marshes, but overall, the system was devitalised. “The Marshes have adapted to variability in water supply, so when the drought broke in 2010 they responded strongly,” he said. The network of channels that carry water into the southern Marshes – during a dry time in 2008 (left) and during inundation in 2010 (right). Photo T Ralph. Dr Ralph’s research has revealed a dynamic history of wetland landform change over the past 100 to 200 years, as well as evidence of wetland evolution occurring over thousands of years. 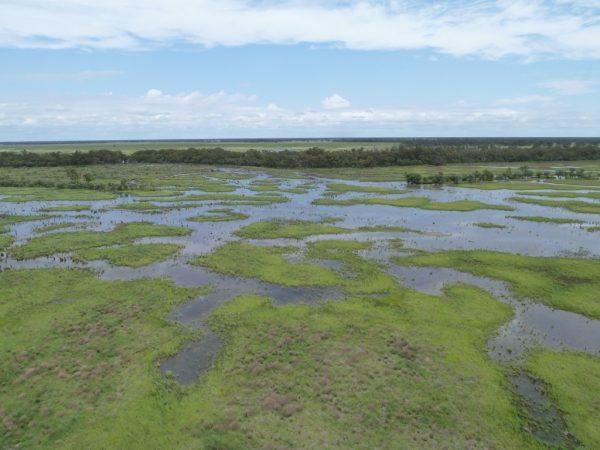 Aerial photographs, satellite imagery, topographic survey data and parish maps have provided an insight into the recent history of channel and wetland change in the Marshes. Samples of surface sediment and soil, along with sediment cores, have allowed Dr Ralph to study long-term patterns of sediment accumulation, erosion, soil quality and fire. This combination of approaches shows a wetland ecosystem that is constantly on the move. The movement of channels on the floodplain has shifted patterns of flooding and areas of aquatic habitat in the southern section of the Marshes quite significantly. “For example, between the 1880s and 1920s, large areas of wetlands surrounding the Old Macquarie River in the southern Macquarie Marshes Nature Reserve contracted back to Monkeygar Creek and some were abandoned. “Other wetland areas grew or changed elsewhere on the floodplain. The boundary of the nature reserve was also modified to reflect some of these changes in the early 20th century,” he said. Water re-entering the Macquarie River downstream of the southern reserve. Photo T Ralph. Earlier this year, Dr Ralph and colleagues Dr Paul Hesse and Dr Yoshi Kobayashi released the findings of their research into the Macquarie Marshes in a paper entitled ‘Wandering wetlands: spatial patterns of historical channel and floodplain change in the Ramsar-listed Macquarie Marshes, Australia’. The document brings together their various information sources and research findings to create a series of maps demonstrating the mobility of the Macquarie Marshes over the past 100+ years. This research is an important link in the chain, helping to inform the management of the Macquarie Marshes, in particular the use of environmental water to support this unique wetland system. “We have seen that small changes in channels and drainage patterns can have significant impacts on flood patterns and wetland ecology,” Dr Ralph said. “By identifying, assessing and monitoring pressure points and hotspots of change, we can better understand the impacts of controlled flows on the character of the Marshes. Dr Tim Ralph during one of his regular visits to the Macquarie Marshes. Photo OEH. “My research can also help to determine which parts of the Marshes are likely to respond to environmental flows,” he said. The Office of Environment and Heritage is the lead agency for the management and delivery of environmental water in NSW to sites including the Macquarie Marshes. 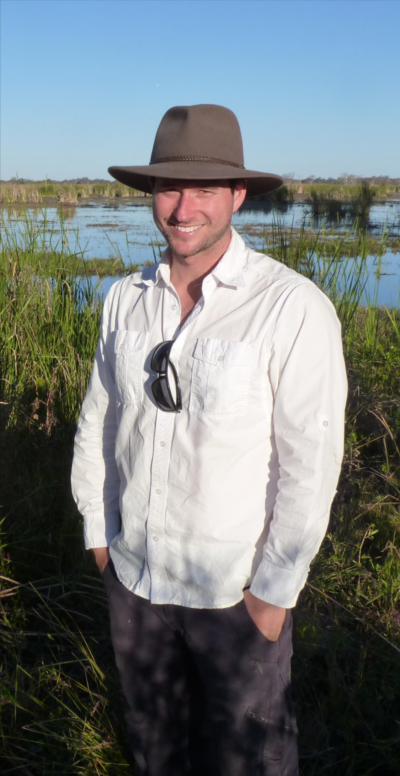 Senior Wetlands and Rivers Conservation Officer, Tim Hosking has worked with Dr Ralph since 2008 to integrate his research into management of the wetlands. “The work of scientists like Tim Ralph and others is critical if we are to get the best environmental benefit from the water we’re managing,” Mr Hosking said. “The relationship between erosion and sedimentation and environmental water is a developing area of information. “We know that healthy wetland vegetation – something we try to maintain with environmental flows – leads to reduced erosion and also more spread of water into floodplain and wetland areas. “Reed beds and water couch are also known for their ability to catch sediment, performing a great job of filtering water, but this also means they are prone to the effects of sedimentation. “As environmental water managers we need to keep a close eye on stream and wetland physical changes so we can get the best environmental outcome for the water asset in our care. “Environmental water management also relies on good science to inform annual and longer term decision-making. “In the Macquarie valley, the Macquarie-Cudgegong Environmental Flows Reference Group advises OEH on the best course of action with consideration of the latest available science. “Management of the land and water is highly specific to the physical, ecological and socio-economic elements of the system. “As a result, there is no simple recipe for management. Scientific information, water management experience and strong community collaboration are all essential to ensure the long term future of these iconic wetlands,” he said.